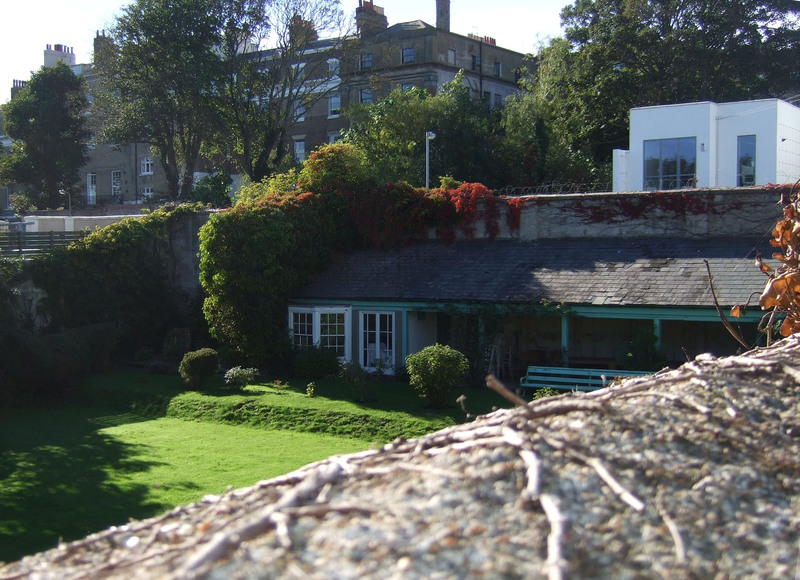 The much-loved Secret Garden in Kemp Town has just been awarded Grade II listed status for its special architectural and historic interest following the submission of a detailed statement to English Heritage by local historian Nick Tyson. The Secret Garden is located on the corner of Bristol Gardens and Bristol Place, just east of Sussex Square. 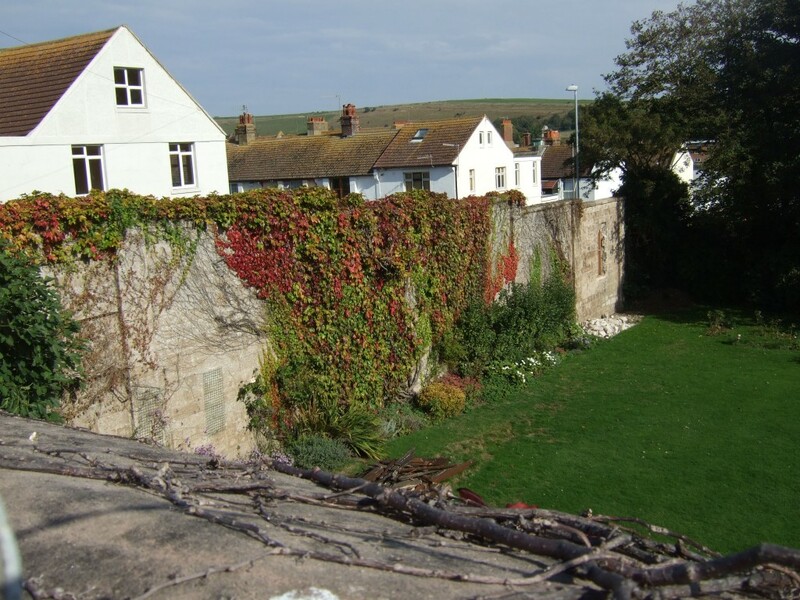 In fact, it was once part of a garden of around three times the size that once served 32 Sussex Square, a large townhouse in the north-east corner of Brighton’s most famous Regency composition. The house was owned by Laurence Peel (brother of Sir Robert Peel) who commissioned the garden in around 1830. A tunnel beneath Bristol Place once connected the house to the garden. Part of the tunnel is still visible on the garden side and the rest may well still exist beneath the road. I first came across the Secret Garden at a Regency Society summer garden party. The annual event was, and still is, legendary but no longer takes place. At the time, it was owned by a lovely elderly lady called Yvonne Dale whose husband, Antony Dale, founded the Regency Society back in 1945. A plaque on 46 Sussex Square notes that Antony Dale lived in the building from 1914-1962. During my own years on the Regency Society’s committee, discussions were taking place between Yvonne Dale and the Society about what should happen to the garden in the event of her passing away. I do recall that the Secret Garden was turned down by the Regency Society. The Antony Dale Trust was formed in 2008 by several of my fellow committee members as an alternative arrangement in order to effect the garden’s preservation. The Secret Garden is a magical place yet, as a sunken garden, access is somewhat tricky. Its rickety steps certainly caused problems at the Regency Society garden parties. A large gated opening has just been made at the point where garden is closest to pavement to improve access. There are many reasons to preserve such a space but Nick is particularly keen to emphasise the importance of the building material of the north, south and west walls – Ranger’s artificial stone. As a well-known Sussex builder, William Ranger pioneered the use of his artificial stone during the 1820s and patented it soon afterwards. The Secret Garden is thought to be its first use in a major construction project.